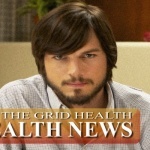 Off The Grid Health: Food & Fitness » Is Gov. 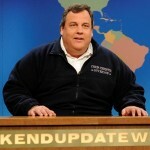 Chris Christie Fat, Sick, & Nearly Dead? To be clear, this is not a political article. Gov. Chris Christie of the great state of New Jersey is smart, energetic, and gets things done. In my world, I was the same way. No one questioned my effectiveness, but I learned later that many people around me were highly concerned about my health. I am compelled to write this article because I have walked two miles in his shoes. Whenever the topic of weight came up publicly, I laughed it off. I made a self-deprecating fat joke, changed the topic, and continued to eat. Frankly, many times these concerns were voiced by ‘skinny’ people. I took pride in brushing them off because what do they know about being fat all their life. Do you really know why I am fat? I cannot recall anyone who was ‘a hot dog away from a heart attack’ telling me to lay off the nachos. I was probably double dipping the salsa with that person. 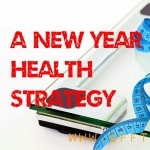 In helping a number of people restore their health and change their lives over the last year, those people have lost hundreds of pounds as of the writing of this post. Along the way, I have run into people who have severe limitations on how they can restore their health either because of the damage already done to their bodies by disease or due to dietary restrictions imposed by their prescription medications. In these cases, it is much more difficult for the body to restore itself back to health. According to Governor Christie’s public statements, other than his weight, he has a clean bill of health, like I did. This means he is healthy at the moment. However, at 50 years old, 5′ 11″ tall, and a reported 345 lbs, Gov. Christie and I had the same body mass index of 46, classified as severely obese. I lived on that high wire for years, buffeted by my blood tests coming back ‘normal’. This worked for me until I was rushed to the hospital for chest pain a year and a half ago and got scared strait (not a typo). The good news is that Gov. Christie has a chance to pull back from his ‘physical cliff’ and restore his health because his body is still healthy enough to do so. I know it is possible because I have helped 3 people over the age of 50, get off their prescription meds, avoid surgery, and lose a combined 120 pounds in the last three months. They were fat, sick, and nearly dead but healthy enough for their body to heal itself when it got a chance. For those who cannot relate to this problem, know this. Fat people are not lazy and no one wants to grow up to be fat, sick and nearly dead in their prime. Some of us have tried almost everything and failed. It may take a near death experience or just the right information at the right time but I believe that the recent publicity about Gov. Chris Christie’s weight has done one better. It made him think. I would bet that he is quietly looking for answers. Perhaps he is behind scenes reaching out to experts such as Dr. Joel Furhman (NYC), Dr. Daniel Amen (Baltimore, MD), Joe Cross (NYC, Australia) or Dr. Joseph Mercola (Hoffman Estates, IL) or reading solid resources like the ones on our site. Some say Gov. Christie’s greatest legacy will be the reconstruction of the Jersey Shore after Hurricane Sandy. A greater legacy would be that he would save his health from a debilitating storm of consequences that could be avoided by investing in personal change. Are you at a ‘physical cliff?’ If so, it’s time to unplug from some unhealthy habits and traditions and save your life. Connect with us and or attend an event that could help you make the change you need. 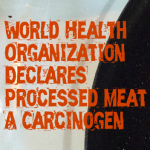 Thank you for reading Off The Grid Health.